Please, specify date and time by clicking on the preferred date! For whom: Everyone who is curious to explore and play. No experience necessary, able to get down and up and down and up from the floor unassisted, slow and clumsy is perfectly ok. Cost: $57 click on the preferred date above! 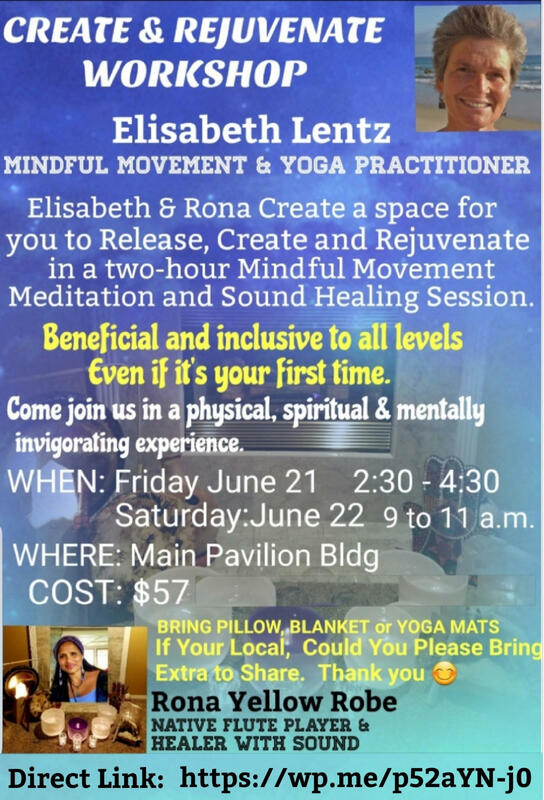 What to bring: An open mind, a mat or two, blankets and pillow to make yourself comfortable on the ground. In case you are local, bring extra to share with others. 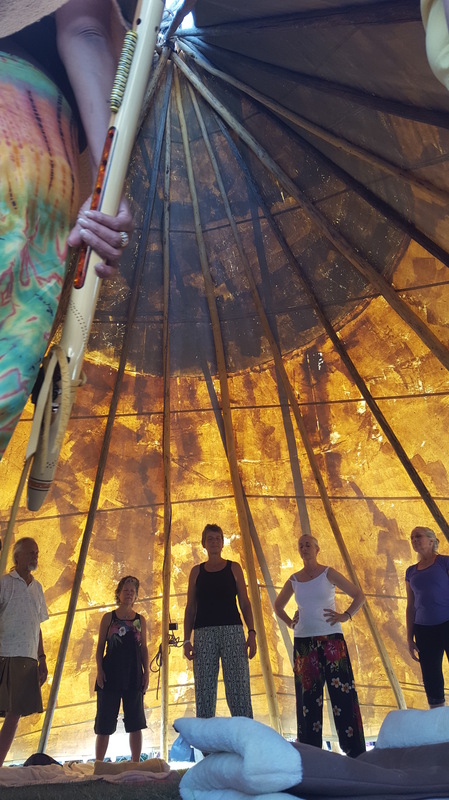 Memories from June 2017, when we were teaching in a Teepee. Note, due to temperature and space, the 2019 workshops are held in the Main Pavillion Building at the Homestead Resort. If you have any questions just contact Elisabeth or Rona below! 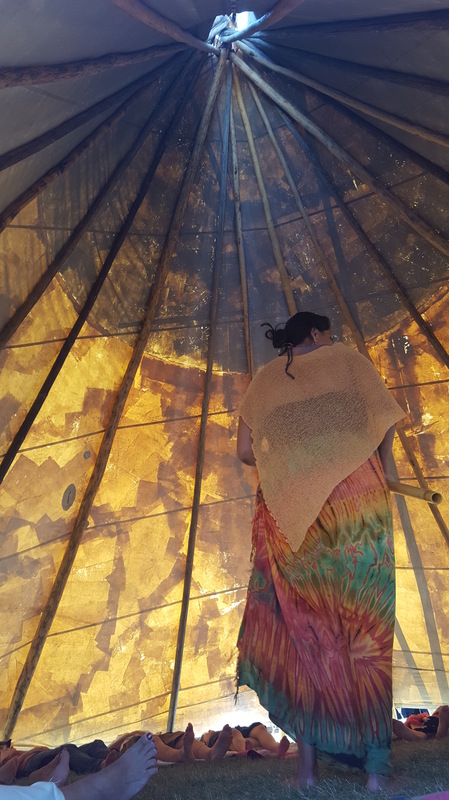 I consider myself a guide on your journey to yourself and how you show up in your relationships to the world and co-create the world in every moment you breathe, which means you are alive on this earth. It includes the physical, emotional and mental body as well as the environment you find yourself in. This entry was posted in Retreats. Bookmark the permalink. 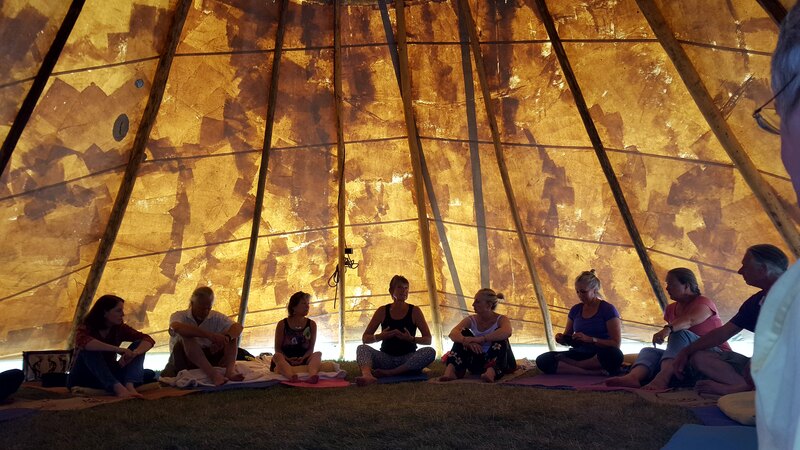 Mindful Movement strives to empower authentic living with awareness in each individual. 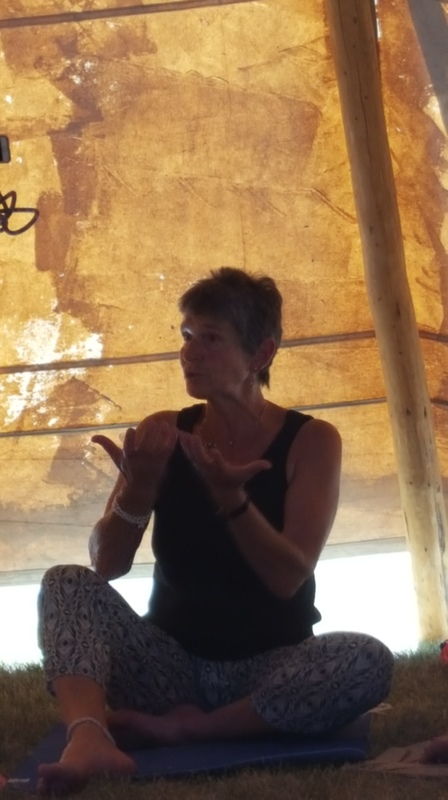 Authenticity is generated through mindful movement, guided breathing and awareness practices to transform challenges, further vitality and restore balance in body mind and spirit in the here and now. Integrity is the ability to listen to a place inside oneself, that doesn't change, even though the life that carries it may change.